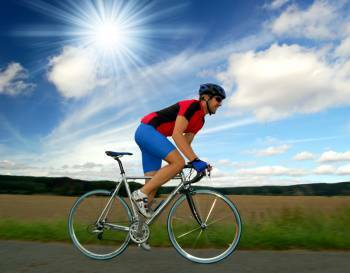 Welcome to the Central Physical Therapy and Fitness resource about cycling. Cycling is a fantastic activity, whether you do it for fun and exercise as a hobby or compete at the highest levels of the sport in the Tour de France. However, it is also a sport that is incredibly easy to hurt yourself while participating in it. You don't have to be a professional cyclist to understand that the least of any cyclists' worries is a painful fall off the bike. In fact, cycling is a sport that has many repetitive motions and opens any participant up to knee, back, neck, ankle, foot, and elbow injuries. Therefore, to stay in top shape, you must read this section of our site. We have designed this section with both the casual biker and the competitive cyclist in mind. We want to make sure that you have the information that will not only keep you planted firmly on the bike seat, but also know which exercises will keep you pedaling towards the finish line. Copyright (2015) CENTRAL PHYSICAL THERAPY. All rights reserved.